JNTUA MBA/MCA 1st, 2nd Sem Regular & Supply Exam Results June/July 2018, JNTU Anatapur MBA/MCA 1st sem results and MBA/MCA 2nd sem results 2018 are available now at jntuaresults.azurewebsites.net. 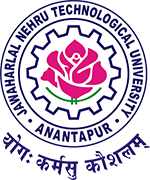 JNTU Anantapur has announced MBA/MCA I & II Sem Regular and Supplementary examinations Results 2018 at http://jntuaresults.azurewebsites.net. The results of following MBA and MCA I & II Semester Regular & Supplementary June/July 2018 Examinations are declared. The result sheets are available in the University Examinations Results Portal at http://jntuaresults.azurewebsites.net. Sir when you released MBA R17 semester 1&2 supply results? When mba 2nd sem r17 results released? when will mba r17 sem2 results will be released?? Hello Sir… Can I expect the results of 1(semester) Supply (R14) 2018…. Good morning sir,when will be announce MBA R17 second semester results sir…..